Content of book is amazing, I started my reading late night, the narrative story of the book made curious of what next? & i completed reading. Content is King, brilliant work. A series of cliping runs in mind when you complet each sentence. Strong wordings, beautiful story narration. She: Ekla Cholo Re book reading session was conducted. It was nice experience of reading, discussion and sharing on the book. Giveaway ends November 23, 2015. Dr. Shayan Haq and Santosh Avvannavar, authors’ and Rajashree Ghosh, Editor introduce their work, ‘She: Ekla Cholo Re,’ was released in Bengaluru, Nov 07, 2015 by Mr Gopal Hosur, Rtd IPS and Nov 14 by Mr Ramana, National Award Nominee and Scientist. Blurb: Set in the backdrop of 1990 Calcutta, She is a story about finding one’s own identity in spite of all odds. The story spins around the life of Kusum, a brave heart whose identity is often untitled and blurred; it does not belong anywhere, definitely not under the ‘he’ or ‘she’ bracket, thanks to our social conditioning. Will she be successful in her mission? Find out in She, an utterly absorbing read that derives inspiration from Tagore’s “Ekla Cholo Re” song, which urges everyone to move on despite the fear of abandonment from others. This book is a mixture of 7 different love stories where the love stories culminate to a sad ending wherein in the most of the cases, it’s the boys who are dejected !!! The authors have put a twinge of humor to the stories which augments the interest in the book. Each love story ends with an implicit/explicit message to the readers. Once I was done with reading the book, I felt there could have been few more. “While I cannot prevent the birds(desires, thoughts) from flying over my head(heart), I can prevent them from making a nest(controlling) in my hair(spirit)”. Overall I liked this book and would recommend to those who are looking for a quick-love read. Thanks for the copy once again!! Dr. Shayan Haq and Santosh Avvannavar, authors’ and Rajashree Ghosh, Editor introduce their work, ‘She: Ekla Cholo Re,’ was released in Bengaluru, Nov 07, 2015 by Mr Gopal Hosur, Rtd IPS. 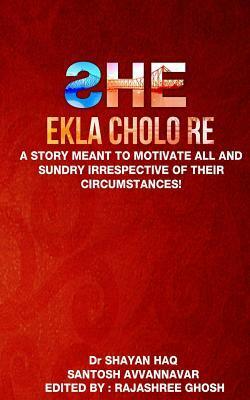 Rajashree Ghosh, Editor of She : Ekla Cholo Re brings her experience and perspective to the book! She1: What were your reaction as an editor of ‘She’ after the first time read? It was an absolute joy editing She; I grew with Kusum each day in complete awe as she drew inspiration from Tagore’s Ekla Cholo re song to be her true self each time she was struck with a heavy blow. She2: ‘She’ character Kusum draws inspirations from Ekla Cholo Re song, what is your take away from it? I think it’s a very apt song to derive inspiration from. It’s a song of life that celebrates the spirit of finding one’s identity by believing in oneself. She 3: The book seem to have an interesting ending, how did you see it as an editor and reader point of view? I thought the ending of the book is it’s USP. The first time the author briefed me about Kusum’s story, I decided to edit the manuscript mainly because of the ending! It was great to see the book take shape gradually from what started off as an editing project for me. Turning the pages of the book as a reader is an awesome feeling altogether. She 4 : Why do you think She could be one of the important milestone book that has progressive approach to inspire readers and writers? Simply because it deals with a person who do not fall under the ‘normal’ category. It’s about a person who is trapped in someone else’s body. A lot has been said/written about people like us who do not have to deal issues like this; but I think this is the first time that a story revolves round the pain and suffering of a transgender. 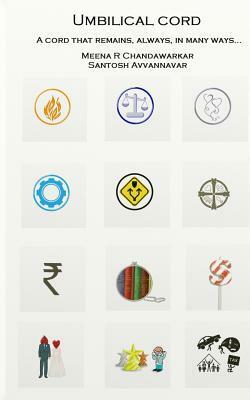 This makes it progressive and thus an inspiration to many others. She 5: Could you tell the story of ‘She’ in few lines? She’ is a story of a brave heart who is set to explore an identity that is often untitled, that does not belong anywhere, definitely not under the ‘he’ or ‘she’ bracket because of the pre conceived notion that each one possesses. ‘She’ draws inspiration from Rabindranath Tagore’s “Ekla Cholo re” song that urges everyone to move on despite facing abandonment from others.